Outfitting your mini meeting spaces with video just got easier — Lifesize Dash™ is the super affordable software-based video conferencing solution built for your smallest meeting rooms. 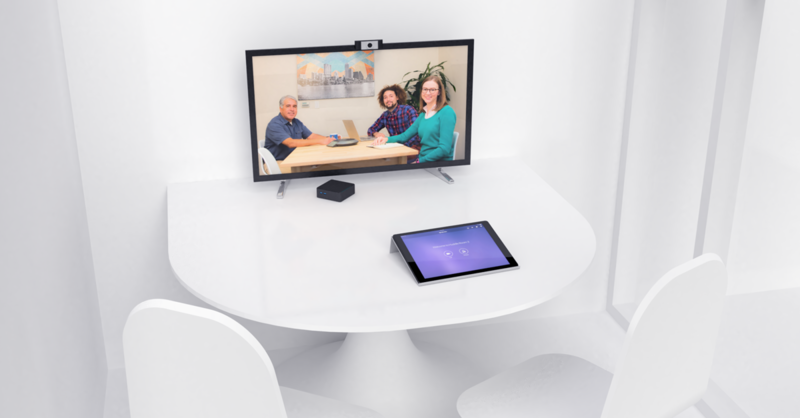 No need to book those large conference rooms for your two-person conference call — you can now optimize your smallest meeting spaces in the corners of your office with high quality video conferencing with Lifesize Dash. All you need is a Chromebox™, tablet, a USB camera and audio device, and a monitor and you have yourself a sub-$1000 video solution. Not only does Dash play well with a number of third-party devices, Dash rooms also come with all the same features and capabilities you’ve grown accustomed to with the new Lifesize app and Lifesize admin console. Stop wasting office real estate and deploy video across all your conference rooms. Interested? Learn more about Lifesize Dash here.